This blog pretty much started with the statement that under every stone is an Ashworth and that is pretty much true. There are other surnames regarded as the ‘usual Valley suspects’: Hargreaves, Greenwood, Taylor, Howarth (or Haworth), Ormerod and so on. Most of these are present in my ancestry, marking me out as ‘Valley folk’ whose link with Rossendale goes back 5 generations or so. Interestingly when I looked at the Clitheroe Court Rolls for the Valley, many of these names were well represented even in the early days. the first entry in Farrer’s transcript of the Court Rolls for Rossendale mentions Ashworth (of course) and Tailor in 1509. Other early entrants are Pickup, Nuttall, Holt, Duerden, Heap, Lord…all names present in Rossendale in significant numbers today. Since it is estimated (almost certainly inaccurately) that there were only 16 families in Rossendale on deforestation in 1507, the persistence of these initial ‘founding father’ names is remarkable. There are some names which appear not to have make it through time, the most noticeable of which is Bridge (or Brigg). There was a prominent family of Bridges in the C16 who were party to the usual misdemeanours of failing to maintain highways, blocking rights of way, causing an affray and the like. Later, there is a couple of Bridges buried in the graveyard of Sion Baptist in the 1800s. Yet I don’t know of any Bridges in Rossendale today though of course they may be there. To complement this one-place study I have joined the Surname Society and have registered two studies. The first, and possibly most stupid, is the Ashworths of Rossendale. The second is the Bridges/Briggs of Deadwenclough, the old name for the area containing Springhill. I am a newbie at surname studies so it will be interesting to give it a go. These are both names with significant links to my place and a deeper understanding of their usage in the area will hopefully shed insights onto my place. Detailed work on this will have to wait until the completion of my MA however, but that’s another story. It was interesting therefore to see Ancestry’s list of surnames which are extinct or threatened and those which have declined significantly over the last 100 years. The validity of the first two lists has been questioned as representing transcribers’ errors but the last list appears valid. Ashworth (down 39%), Sutcliffe, Kershaw, Greenwood, Pratt, Nuttall and Ogden. The usual reasons why lines die out are failure to reproduce or a disproportionate number of girls being born. It is easy to see why this should be so for single family lines, less clear for an entire surname over an entire registration district. Ashworth is not such a socially disadvantageous surname that no none will marry into it. A genetic reason is theoretically feasible but difficult to imagine in practice. 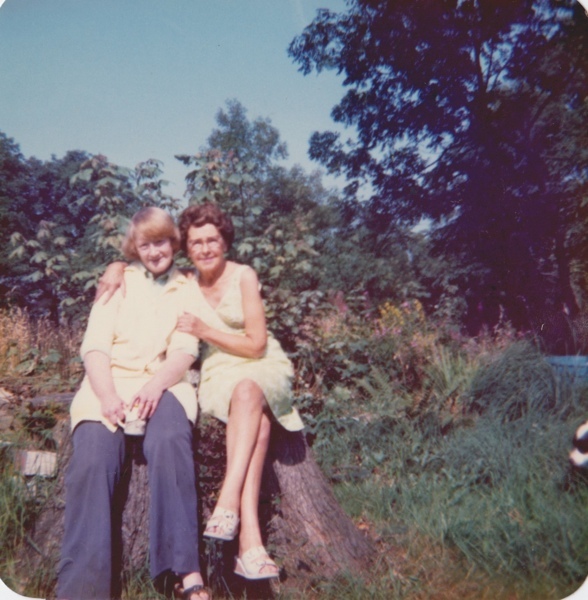 A request from a relative for copies of some old family photos had me (rummaging through the photo box) revisiting my carefully sorted and stored archive, ahem. Not only did this trigger lots of good memories but I also found a number of pictures relevant to my Springhill study. A number of pictures of family members entering the church for weddings shows something of the layout of the graveyard before it was redeveloped when the old church was dismantled and the flats erected. These are on the Sion - old pictures album. A small number of pictures of family members in the village give an idea of the village in days before. These are in the old Higher Cloughfold and Higher Cloughfold albums. A fabulous picture of my grandmother with nine other girls standing in a row with hands on their heads, c 1908. This is on the education page. Pictures of Springhill Cottage’s garden 1955-60 and Sunset View 1960s, linked on the houses page under the respective properties. 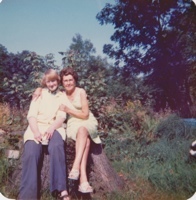 This lovely picture of two Springhill residents Eileen Taylor (Sunset View) and Ivy Bell (The Cot) date and place unknown but probably mid 1970s. Back in September the Religious Society of Friends in Crawshawbooth held an open day as part of the heritage weekend. I was thrilled to discover that they still had artefacts from the original meeting house at Chapel Hill which were transferred to the current meeting house when it opened in 1716. These had survived intact on their new site for nearly 300 years including at least one major flood. This is described below - ‘Artefacts’ 14 Sept and ‘Q is for Quaker’ 19 April. Shortly afterwards I was thrilled to receive an email from one of the Friends forwarding a copy of the transcript of the internments in the old burial ground at Chapel Hill and those in the Crawshawbooth meeting house. As the burial ground was in use between 1663 and 1847 this was an exciting document, all the more so as I understand that the original was lost in the aforementioned flood. I’m glad that someone had the foresight to make a transcript. The spreadsheet is not intuitive but is offered unaltered on the Quakers in Chapel Hill page. 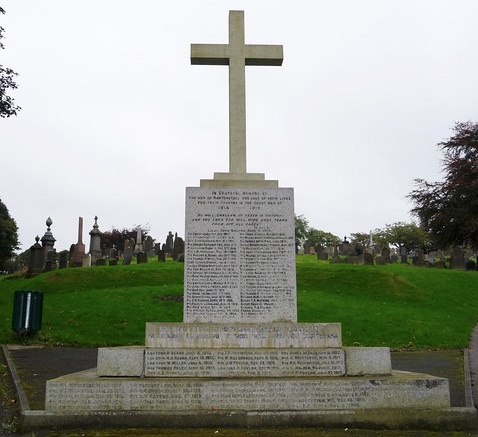 There is no war memorial in Springhill, being only 12 houses. There is not one in Higher Cloughfold, nor in the local Baptist church. Nor, as far as I am aware, in the only other public building, the Red Lion pub. The earliest is in the cemetery. t was erected in Sept 1915 under the auspices of Carrie Whitehead, daughter of a local mill-owning family, local worthy and not a woman to be messed with. He will swallow up death in victory, and the Lord will wipe away tears from all faces Is. XXV. 8. 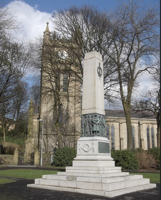 It is probably the first municipal war memorial in the UK. As it was started in 1915 the names are added in the order in which they came to the notice of the borough. Unfortunately it omits the names of four of the 8 Higher Cloughfold casualties: Messers Hart and Harvey and the two Messers Taylor. 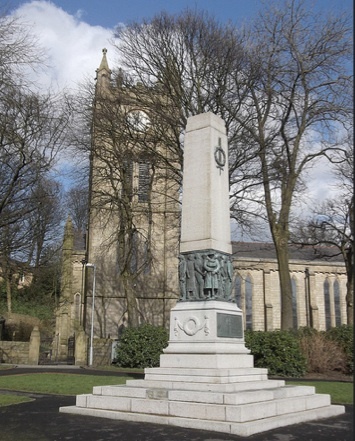 The second is the cenotaph in the centre of Rawtenstall, between the library and parish church. This was erected in 1929 by the aforementioned Carrie Whitehead. It has no names. It is inclusive, honouring those who died, those who fought and those who served at home in both world wars. It is not enough to remember. 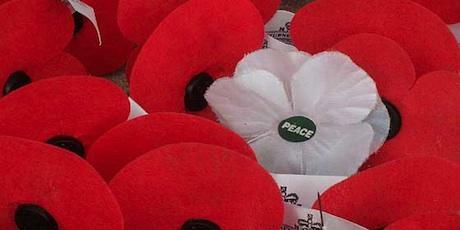 If we truly want to honour those who served we should stand for peace, justice, truth and simplicity wherever we can.